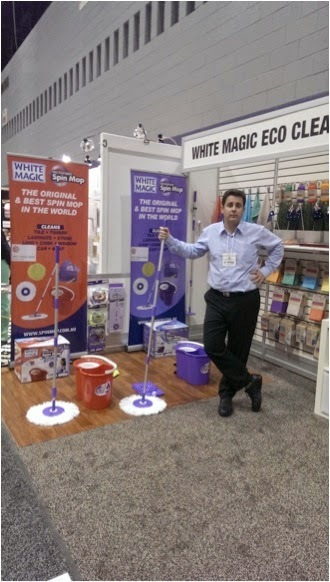 White Magic has spread it wings to capture International distributors for its large range of chemical free cleaning products. 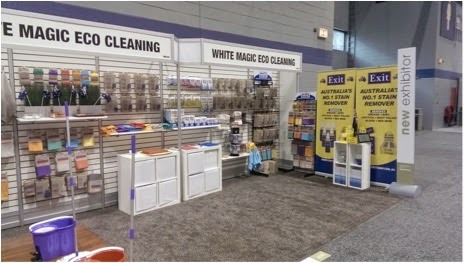 White Magic just finished exhibiting at the International Home and Housewares Show in Chicago and had a very positive reaction from international customers. Amongst over 2400 other exhibitors, White Magic stood out for its qualty material, packaging and colours. White Magic’s retail product offering is focused on quality, innovation and colour to make cleaning a safe, effective and stylish enterprise. Our 7 new colours in our Kitchen cleaning range were a big hit as well as the origianl and best Spin Mop and the little Aussie stain removed Exit Soap. 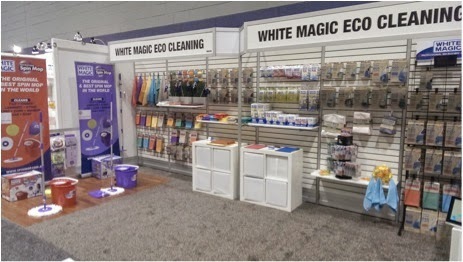 White Magic has committed to exhibit in Chicago for the next 3 years and prove that Australian based distributors can develop a range of products that can be sold internationally.